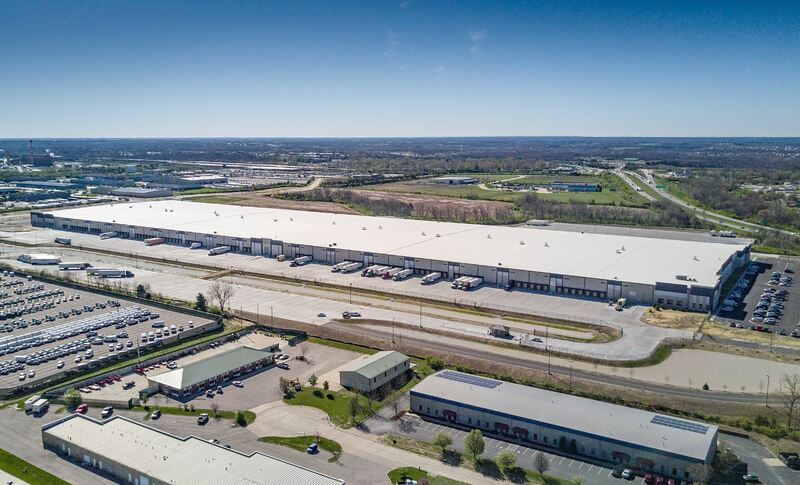 Contegra Construction Co. has a completed a new 593,940-square-foot speculative distribution center at the 2,300-acre Gateway Commerce Center near Edwardsville, Ill. The $26 million project was built for Earth City-based TriStar Properties and PCCP, LLC, a national real estate finance and investment management company. Located on a 54-acre site, the distribution center dubbed Gateway East 594 is a tilt-up concrete, cross-docked facility with 36-foot clear-height ceilings, 570 feet of depth and 66 dock doors plus two drive-in doors. Built with flexibility in mind, the building is expandable to approximately 1 million square feet. 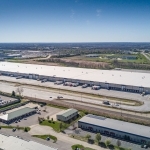 The distribution facility adds to the 18 buildings totaling more than 15.2 million square feet at Gateway Commerce Center. Contegra has built more than six million square feet of those projects. Gateway East 594 is the fifth distribution facility jointly developed by TriStar and PCCP at Gateway Commerce Center. Ed Lampitt, SIOR, CCIM and managing director of the St. Louis office of Cushman Wakefield, the exclusive leasing agent for Gateway is handling leasing for the building. He may be reached at 314-746-0346. Gateway Commerce Center tenants include Amazon, Dial Corp., GENCO ATC, GEODIS, The Hershey Company, Ozburn-Hessey Logistics, Proctor & Gamble, Save-A-Lot, Saddle Creek Logistics Services, D.B. 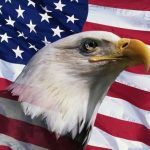 Schenker Logistics, DB Schenker, Schneider National, Unilever, USF Logistics, Walgreens, World Wide Technology and Yazaki of North America. Joining TriStar and Contegra on the project are Gray Design Group, architect; and Stock & Associates Consulting Engineers, Inc.; civil engineer. Based in Edwardsville, Ill., Contegra is one of the St. Louis area’s largest general contractors and serves a national customer base that includes industrial, institutional, municipal, multi-family, office and retail projects. 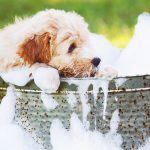 Its capabilities include building developer- and owner-driven projects and site development. Learn more at www.contegracc.com. 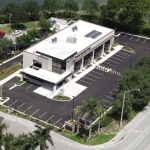 Contegra Construction Co. Completes $5.5 Million Broward Specialty Medical Center in Coconut Creek, Fla.
TriStar Properties & World Wide Technology Team on Gateway Commerce Center in Edwardsville, Ill. 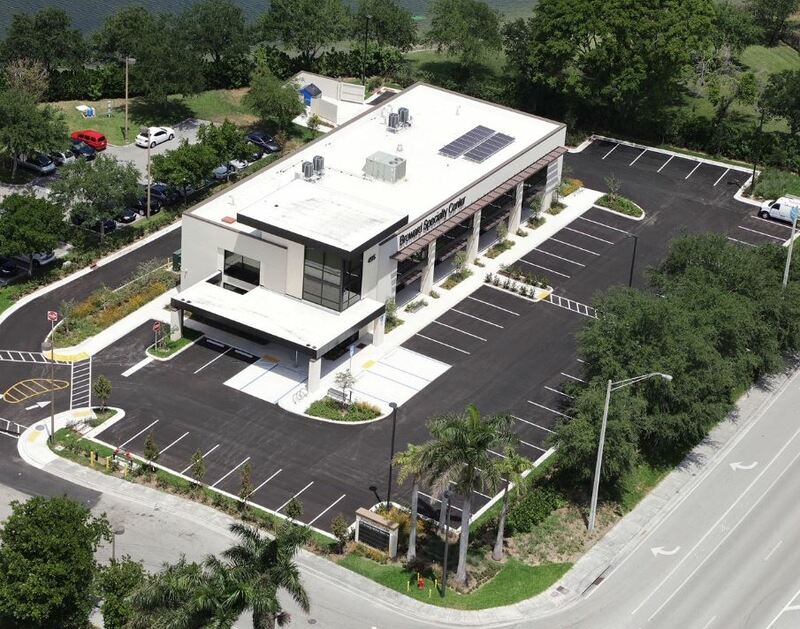 The location of the newest specialized medical facility to serve patients in the Fort Lauderdale, Fla. area is every bit as important as the medical services inside. Contegra Construction Co. completed the $5.5 million Broward Specialty Center in Coconut Creek, Fla. The facility will serve the growing practice of Dr. Sanjeev Gupta, a urologist, his wife, Dr. Hina Gupta, an ear, nose and throat (ENT) specialist and other physicians. The Broward Specialty Center also enhances the patient experience by effectively combining an infusion of natural light and ornamental lighting to brighten interior spaces. It also includes visual accents including a wall shaped with waves and art work throughout the public spaces. The building hosts the Gupta practices on the second floor and is fully leased with two additional medical spaces on the first floor. The Gupta’s second floor medical space is comprised of three procedure rooms, five urology exam rooms, six ENT exam rooms, allergy consultation space, a hearing aid room, audiology booth, reception area, waiting room and nurse stations. Constructed of concrete block and concrete columns with an EIFS and metal panel facade, the main entry is accented by a full height glass curtainwall. The four first floor tenant spaces have separate access to their businesses on the south side of the building. The building is served by one elevator. The facility is also served by a 60-space parking lot. “Contegra did a great job, were on top of everything and were very responsive to our needs,” said Dr. Sanjeev Gupta. Contegra managed 30 subcontractors in building the Broward Specialty Center and coordinated improvements to constructability to deliver the optimal product. Contegra also overcame a number of challenges during the construction period, including the powerful Hurricane Irma which struck Florida in September. Joining Contegra on the project were Chicago-based 2 Point Perspective, Inc. architect; Miami-based Building Center No. 3 (BC3), architect of record and landscape designer; Miami-based Ocean Engineering, civil engineer; Fort Lauderdale-based MUEngineers, Inc., structural engineer; and Schaumburg, Ill.-based RTM Engineering Consultants LLC, MEP engineer. Based in Edwardsville, Ill., Contegra is one of the St. Louis area’s largest general contractors and serves a national customer base that includes industrial, institutional, municipal, medical, multi-family, office and retail projects. Its capabilities include building developer- and owner-driven projects and site development. Learn more at www.contegracc.com. 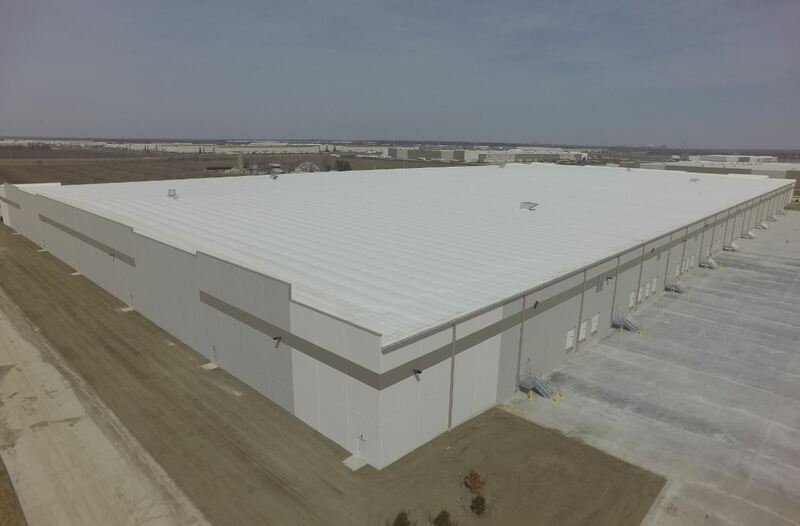 Contegra Construction Co. Completes 1.1 Million SF Logistics Optimization Center in Wentzville, Mo. 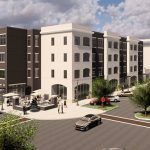 The newest off-campus student housing development to serve Southern Illinois University-Edwardsville (SIUE) is emerging from the ground. General contractor Contegra Construction Co. broke ground on the student housing project called The Reserve in November 2017. The completion is slated for the summer of 2019. The 486-bed housing complex is being developed by Cleveland-based Richland Residential and will be comprised of nine buildings hosting two-bedroom, three-bedroom and four-bedroom units. 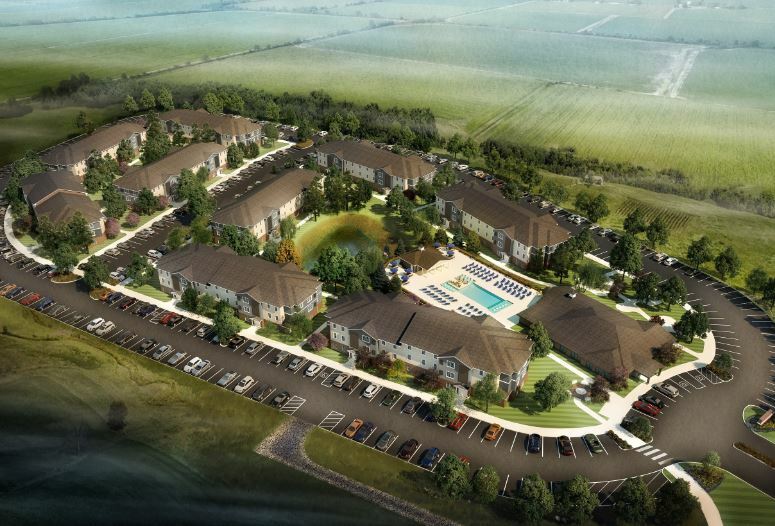 Located on a 15-acre site, The Reserve will provide additional housing options to meet growing demands for off-campus living in close proximity to SIUE. It is located at the New Poag Road entry to the campus. The wood frame construction will be clad with brick and siding. 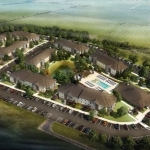 Apartment units will feature full kitchens, washers and dryers and ample living spaces. 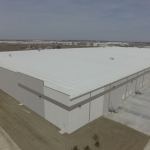 A massive 1.1 million-square-foot logistics center in Wentzville, Mo. is now serving the nearby General Motors Corp. assembly plant. Built by Edwardsville-based Contegra Construction Co., the multi-million dollar facility was built for developer NorthPoint Development. Located on a 132-acre tract at 201 Wentzville Industrial Drive, the facility serves as a logistics optimization center for the GM plant. It is designed and constructed to optimize delivery, storage and processing of parts and products for timely transport to the assembly plant. 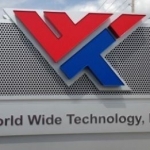 TVS Supply Chain Solutions operates the facility. The seven-month project was constructed with a conventional steel frame, metal frame roof, and site-cast tilt-up concrete panel walls. It features a 32-foot clear height ceiling, 168 dock doors and six drive-in doors. 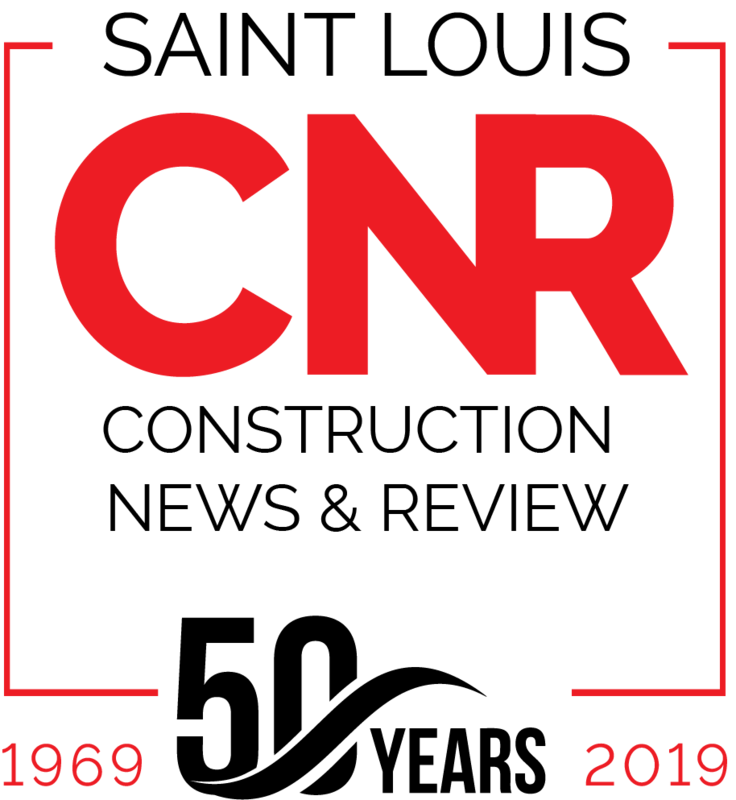 “Contegra did a great job managing the schedule overcoming a record rainfall that deluged the region as construction was getting underway,” said Larry Lapinksi, vice president, NorthPoint Development. The project is among 14 logistic facilities in the Metro St. Louis that Contregra is currently building or completed in 2017. Since 2014, Contegra has performed work on 20 logistics projects in the region, including two fulfillment centers for Amazon and a number of distribution and warehouse facilities.